With nine full-time faculty, several part-time teaching faculty and internship coordinators working in the field, the Sociology Department at SUNY Oneonta is big enough to provide cutting-edge programs yet small enough to offer a personalized educational experience. Our Gerontology major is ranked No. 3 on University.com's list of Best Gerontology Colleges in New York for 2017. Our Criminal Justice major is ranked No. 8 on the career-planning website Zippia.com's list of The 10 Best Colleges for Criminal Justice Majors in New York. We offer opportunities for students to get involved in independent research, or to collaborate on research with faculty. The Sociology Department is proud to have two different clubs, the Sociology Club and the Criminal Justice Club. Both clubs participate in fundraising efforts, host workshops and speakers, go on field trips and attend conferences for professional organizations such as the Eastern Sociological Society. 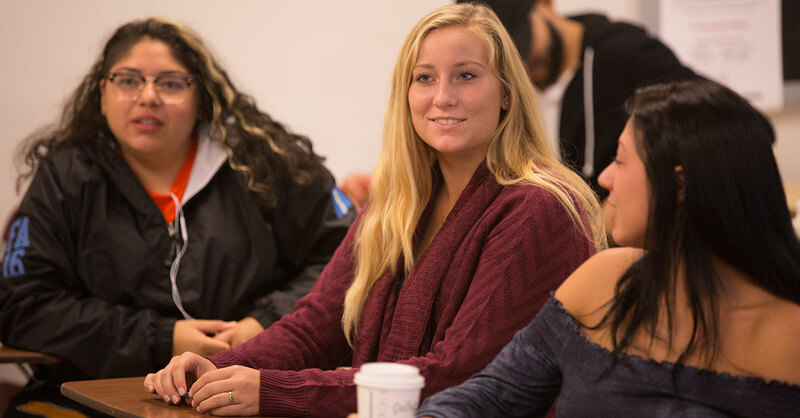 For students who achieve the highest level of academic performance, we offer membership with Alpha Kappa Delta (Alphi Pi chapter), the international sociology honor society. If you are wondering what you can do with a sociology, gerontology, or criminal justice major, please take a look at this informational website released by the Bureau of Labor Statistics.